Preheat oven to 350 degrees. Grease and flour a 13×9 pan set aside. In a medium bowl place..
3 eggs, room temperature beaten. Prepare 8×8 pan by lining with parchment paper. Whipped cream and chocolate syrup to top. Place cocoa mix in mug. Mix with hot water or milk. 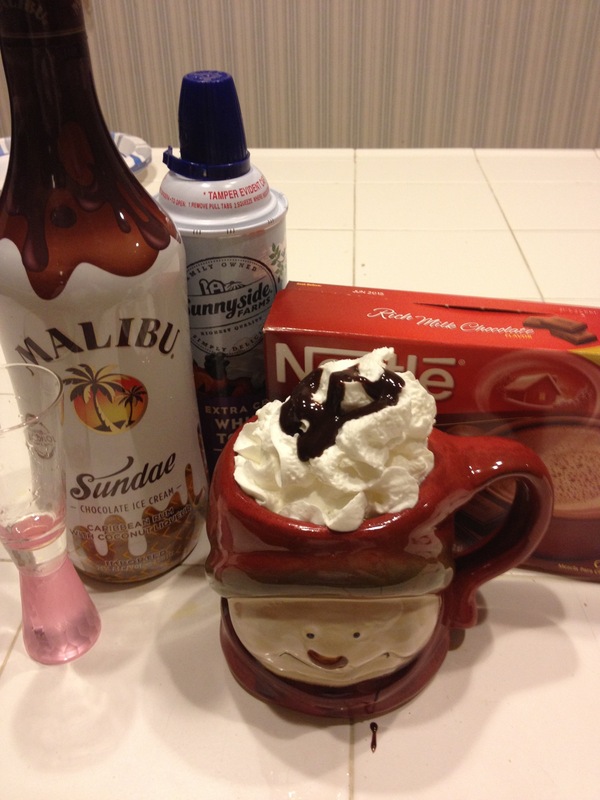 Add rum and top with whipped cream and chocolate syrup. Bring 1 cup of water with three single serving packets of instant coffee to a boil. Add to batter and mix by hand. Pour batter into pans and bake for 30-35 minutes until toothpick inserted in center comes out clean. Cool on racks 10 minutes in pan and the turn out and cool completely. In a sauce pan place 1/4 cup whipping cream, sugar and coffee. Bring to a boil on medium/high heat, stirring. Remove from heat and add chocolate chips stirring till all chips are melted. Stir In vanilla. Pour into a bowl and cool 10 minutes. Place 1/2 cup whipping cream into chilled bowl of mixer and beat till soft peaks. 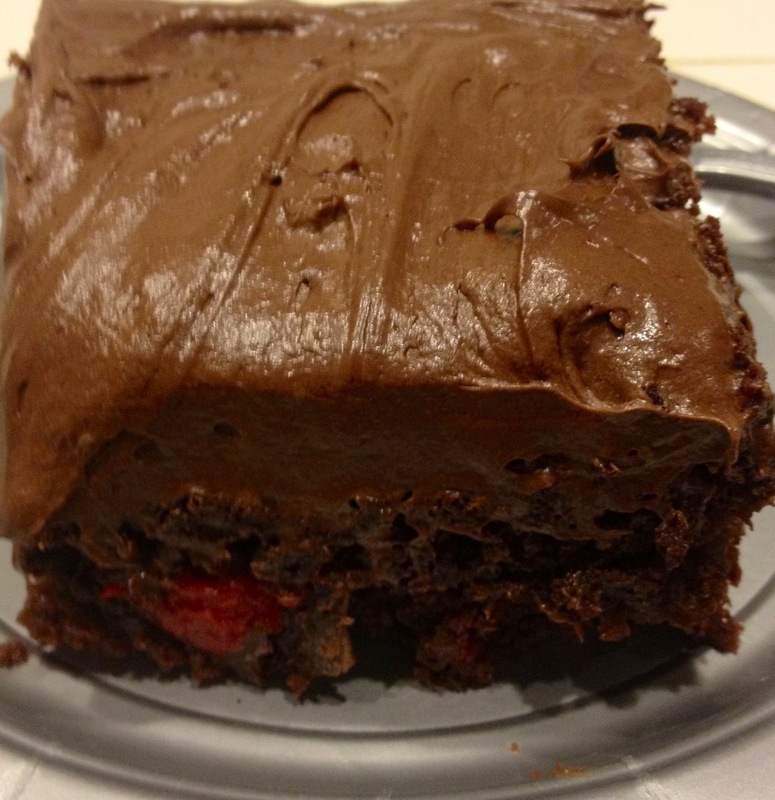 Fold into chocolate mixture. Place in fridge, covered for 30 minutes. 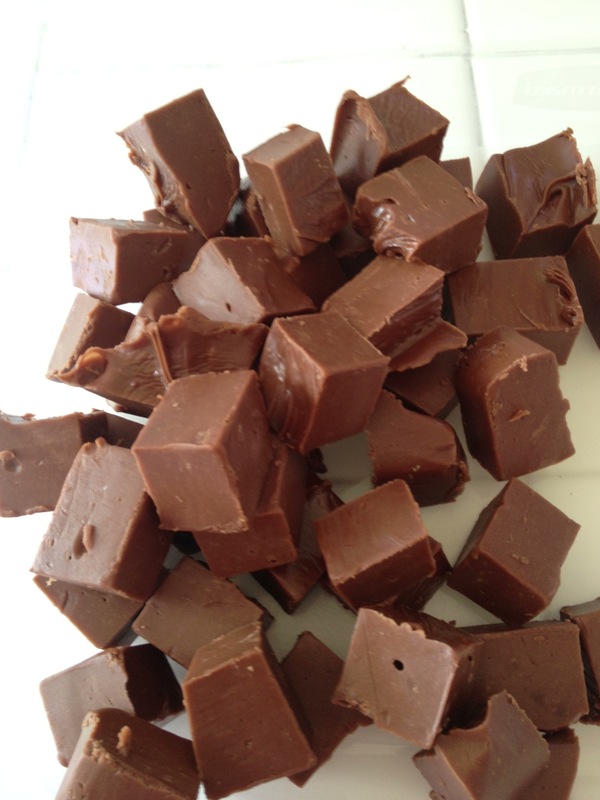 Melt butter and place in bowl of mixer, stir in cocoa powder. Add powdered sugar and milk alternating. Beat until becomes fluffy frosting. Add vanilla and beat till incorporated. Place 1 cake layer, top with mocha mousse. Place second layer of cake on top. Frost with chocolate buttercream. 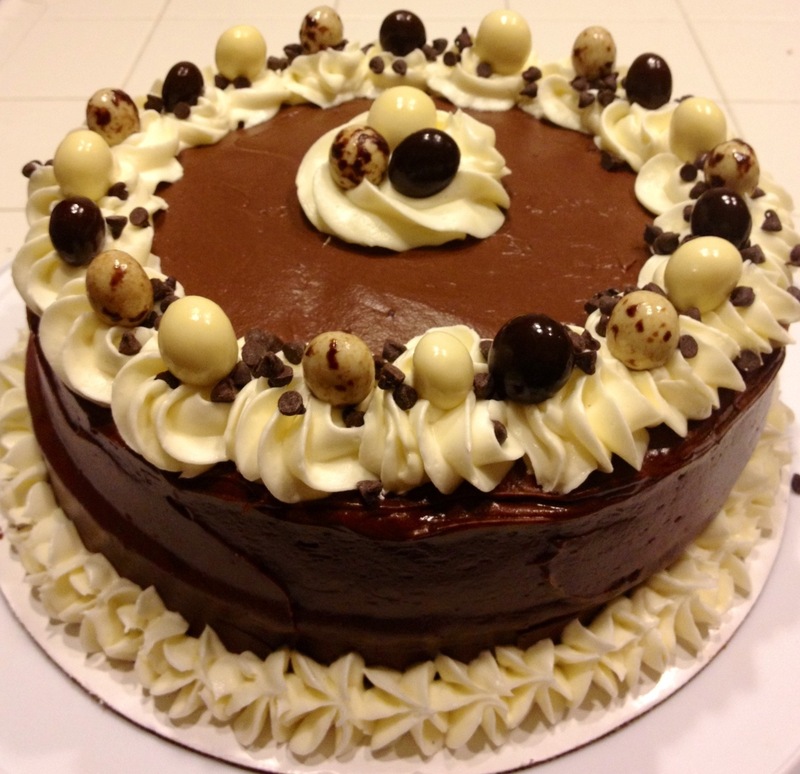 Decorate with white chocolate buttercream. I used a 1M tip. Then place chocolate cover espresso beans and mini chocolate chips.